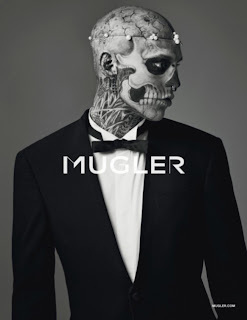 Rick Genest is, in my eyes, the most fascinatingly wonderful thing to come out of the world of fashion this year. 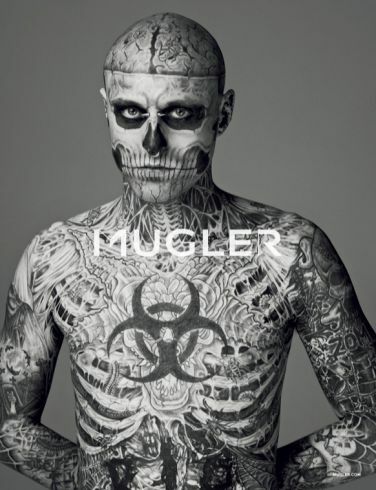 The face of Muglers Autumn/ Winter campaign 11, he is quick literally the most interesting face of fashion i have ever seen, and for that reason he 100% deserves his spot in the 'Look Book'. From 'homeless zomie boy' to the star of Paris Fashion week, Mugler's whole image has been completely transformed. It just inspires me that someone so unconventional can become such an incredible muse and star of the fashion world. 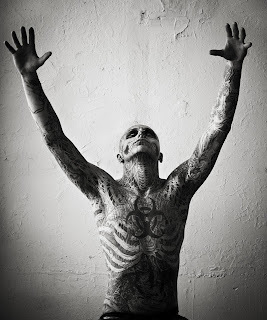 Fashion doesn't have to be obvious and i think Genest is an incredible example of a living piece of art.